Traditional and digital marketing – exploring timeless truths and new horizons. 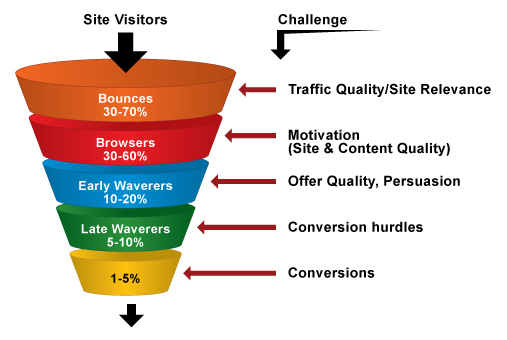 There is much talk in digital marketing about how to generate visits to your website but of course that is only half of the challenge. If you run an ecommerce site you want people to buy from you. To use the traditional terminology you might say the strategy for driving visitors to your site is your acquisition strategy and the strategy for getting them to buy from you is your conversion strategy. Once visitors are on our site we need to maximise the conversion rate. 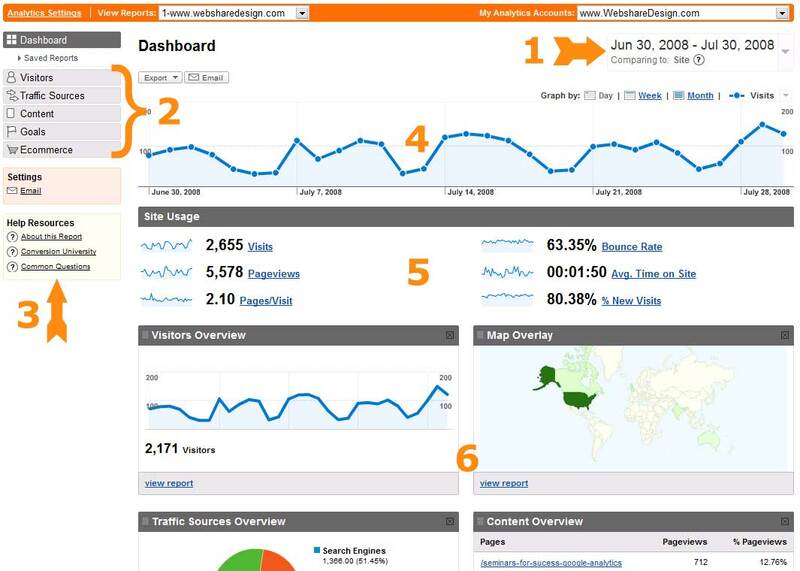 Google analytics uses conversion funnels to enable you to track the movement of visitors through your website. If you are selling products you clearly need to structure your site in a way that leads customers through a clear and logical process to a ‘goal URL’ which might for example be the Thank You page after check out. You are likely to lose visitors at each stage in the process but it is the marketer’s job to minimise the ‘wastage’ at each stage. Bounces – the bounce rate is the number of visitors who leave the site without visiting any other page. 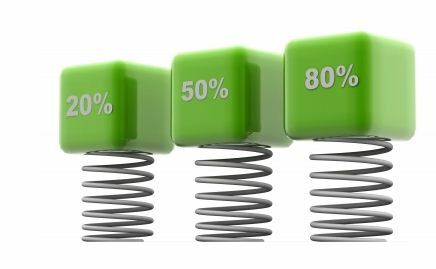 High bounce rates might be a sign that your content is not engaging visitors or you may be driving visitors to a page that is not relevant for them (time to look at your SEO and inbound link strategy!). Browsers – here visitors are moving around the site and may be visiting a few different product pages for example. The site is engaging interest at some level. Early Waverers – visitors at this stage may be looking at specific product specifications, prices or product guarantees for example. They are deciding whether to go to check-out. Late Waverers – these are visitors who actually go into the checkout process but abort before the payment stage. Perhaps the checkout process is too slow, confusing or does not feel secure? Conversions – visitors reaching this stage are the ultimate gauge of success for our marketing objectives. They have moved through the whole buying process and purchased a product or service. Conversion funnels show us the stages at which we lose customers but not why we are losing customers – so we need to experiment. Say your check-out process goes Billing >Shipping > Payment > Review > Thank You. If you discovered that you are losing 40% of click-throughs from the shipping page you could test different elements of the page. For example, are shipping options confusing? Is the next call to action clearly displayed? Are shipping costs uncompetitive? By changing significant aspects of ‘problem’ pages, one at a time, you can use customer behaviour to determine what is wrong and how to fix it. Amazon, for example significantly increased conversion rates by introducing their ‘One Click’ option making the checkout process as simple as possible. Don’t just analyse – act! One of the great advantages of digital marketing is that we have a wealth of analytical tools available to us – many of them free. However, information is no use unless we can act on what it tells us. That’s why testing and experimentation is really what comes after web analytics and where the time honoured rules of direct marketing testing can be bought into the digital world. If there is one thing that all successful online businesses share it is a real understanding of w hat works and what doesn’t when it comes to digital marketing. A strong understanding of how marketing efforts are paying off is crucial to ensure you get the most from your online investment. The great news is that there are a huge number of possibilities for measuring online marketing success, so many in fact that it pays to start by thinking about the basics. More measurement options – you can derive a much greater array of information from online customers than you can for offline by tracking their behaviour. Speed – you can measure customer behaviour in real-time. Try doing that with direct mail! Cost control – for example if you are spending money on PPC campaigns you can set daily and campaign limits for spending so there is no wasted budget. 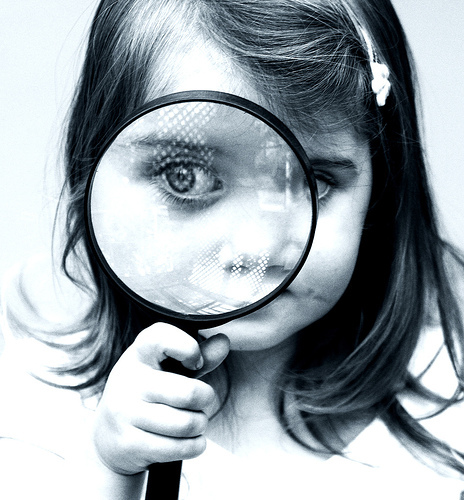 These metrics serve a purpose but if you are selling something online you need to look deeper. The first question to ask is ‘What is the goal of my website?’. You may have a number of goals but if you are in business your main goal is likely to be to sell X amount of X product, generating X amount of revenue.